The Doctor of Juridical Science degree is a highly specialized research doctorate in law designed for those seeking to pursue careers as teachers and scholars of law. 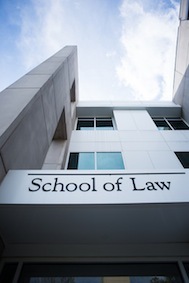 Emory Law's highly selective program is open only to candidates who possess a distinguished academic record in law, show promise of outstanding scholarship, and demonstrate potential for completing a scholarly dissertation of high quality. All Doctor of Juridical Science (SJD) applicants are expected to hold a J.D. or its foreign equivalent and an LLM degree from a US institution. In exceptional circumstances, the US LLM degree requirement may be waived for applicants who have a law degree from a common law country, and/or a graduate degree in law or related field. For foreign-educated lawyers, first law degree designations vary by country. For a list of law degrees that meet this requirement, please refer to the Minimum Degree Requirements by Country chart found on the LSAC website. Students in the SJD program should have English language skills at a level that enables them to read and discuss in class, difficult technical material. Daily class preparation is demanding and students with English language limitations may have difficulty. Only students who feel confident in their English language ability should apply. Applicants whose native language is not English but have earned a degree from an institution in which English is the language of instruction, may request a waiver of this requirement. Requests can be submitted via email to graduateprograms@emory.edu » However, non-native English speaking graduate students are tested separately from the native English speakers in their courses and at times allowed extra time on exams. If a waiver of the TOEFL/IELTS is granted during the admission process, the student will be exempt from this accommodation and will be tested as if English were their native language. Therefore, requests for waiver should be considered carefully and if there is any uncertainty about the language ability, a TOEFL or IELTS score submitted. All applications must be received by LSAC no later than January 20, 2019 by 11:59pm eastern time. Questions about the application may be addressed to sjdamission@emory.edu. Application completed online through LSAC. Application fee of $85 paid via credit card when applying online through LSAC. This is a nonrefundable fee. Personal Statement (uploaded via online application). Transcripts, through the Law School Admission Council's Credential Assembly Service (CAS). Emory Law School requires the use of the CAS Document Assembly Service for transcript and letter of recommendation transmission. Applicants who have graduated from or have attended institutions outside of the US must submit transcripts (translated, if need be) through the Law School Admission Council's International Transcript Authentication and Evaluation Service. Emory Law School requires the use of the CAS for transcript and credential evaluation. The transcript must evidence the quality of the applicant’s exam performance and should include all courses and examinations taken and grades received for all university work. A curriculum vitae or résumé (uploaded via online application). Three letters of recommendation submitted via LSAC's LLM CAS Document Assembly Service. These letters of recommendation should preferably come from individuals who can speak to your ability to succeed in an academic context. A substantial research paper written in, or translated into English. The substantial research paper should exemplify the applicant's best scholarly work. Statement of research purpose. Applicants are asked to take particular care in outlining and discussing the purpose of their graduate work. They should describe their principal area of research interest with as much specificity as possible. The statement should indicate what the applicant wants to accomplish intellectually over the course of the program. There are no limitations as to subject matter. Projects can be theoretical or policy-orientated, comparative, international or domestic. TOEFL score (as required) submitted via LSAC's Document Assembly Service. A TOEFL score of 600 on the paper-based test, 100 on the Internet-based test, or 250 on the computer-based test is expected. Applicants whose native language is not English but have earned a degree from an institution in which English is the language of instruction may request a waiver of this requirement. Requests may be submitted via email to sjdadmission@emory.edu. However, non-native English speaking graduate students are tested separately from the native English speakers in their courses and at times allowed extra time on exams. If a waiver of the TOEFL/IELTS is granted during the admission process, the student will be exempt from this accommodation and will be tested as if English were their native language. Therefore, requests for a waiver should be considered carefully and if there is any uncertainty about the language ability, a TOEFL or IELTS score submitted.